The Museum becomes a spatial narrative based on experience; it awakens mind and fantasy, it brings fragments from the depths to the surface and transforms them to knowledge. The concept is a ‘continuous flow of diving and emerging’, from the level of the sea to its depths and back again to knowledge. 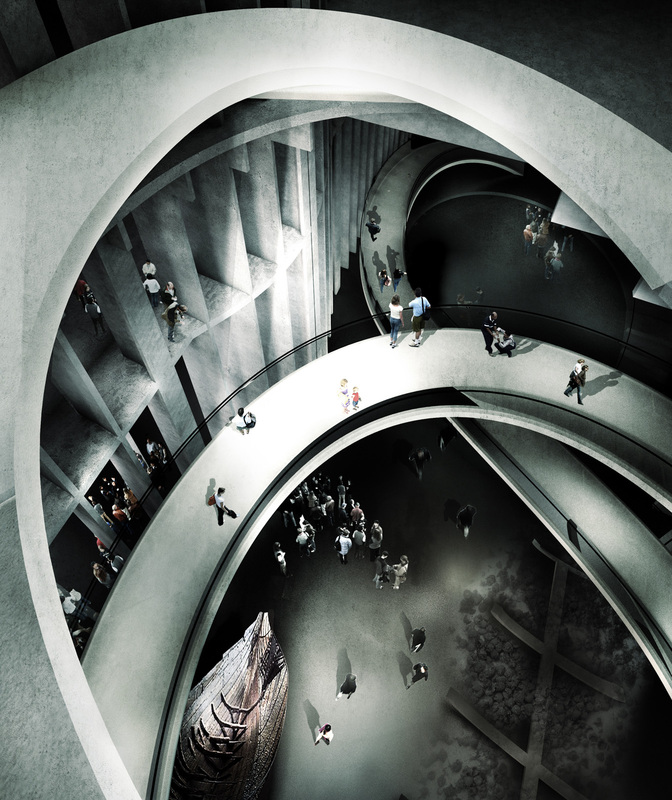 A continuous flow of people, via escalators sculpted to the body of the Silo, gives rise to the ‘sea level’ placed on top. Visitors rise, enjoy the view of the horizon and enter the mysterious world of the Museum in order ‘to dive to the sea-depths’. 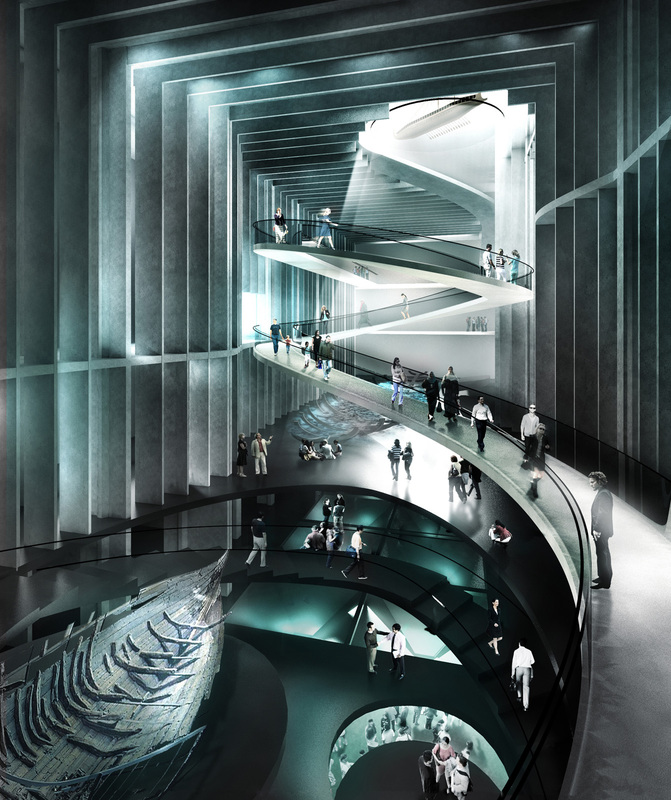 A large internal void, sculpted through vertical concrete-ribs in reference to the Antikythira Mechanism, becomes the heart of the museological narrative. A continuous belt of ramps winds around the internal void, bringing visitors deeper to the ‘bottom of the sea’. Natural light enters from above, light, shadows and flows of people wind around the shipping-wrecks. On top of the building, mirrored in a water surface that dissolves to the horizon, emerge the winding forms of the cafe and the restaurant. 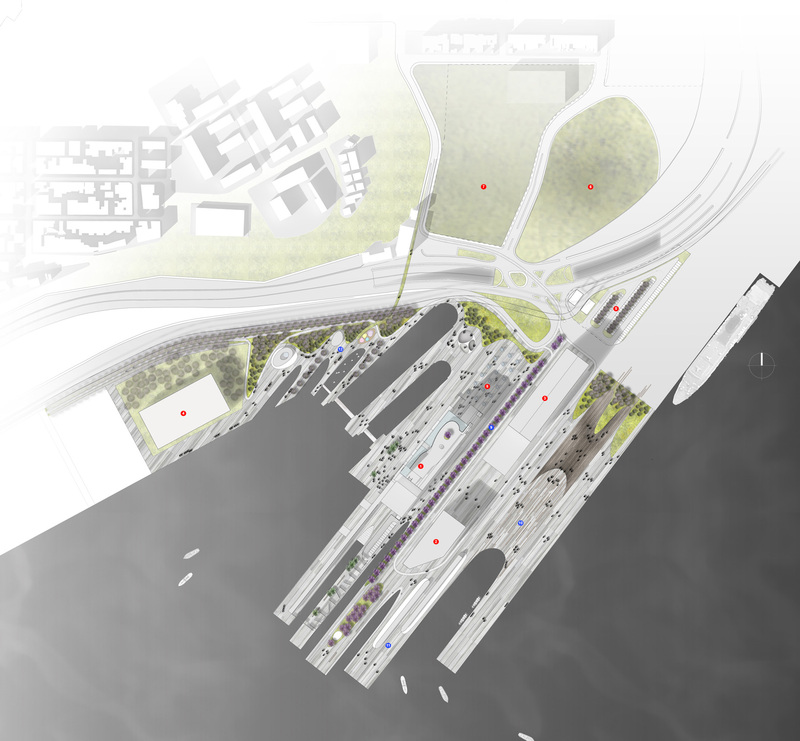 For the Sea Front a new border between the natural and the artificial is created that multiplies the sea-land interface, based on the strong presence of the existing dry-docks and the notion of interpenetration.